In 1717 A-1 Hans Bruppacher (1685-1748) and his wife Anna Ernst Bruppacher (1690-1759), built a mill for grinding grain and sawing wood. 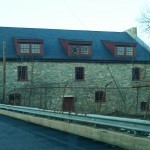 The mill is built along the southern edge of his property where modern day Columbia Avenue (PA Rt 462) crosses over the Little Conestoga Creek. 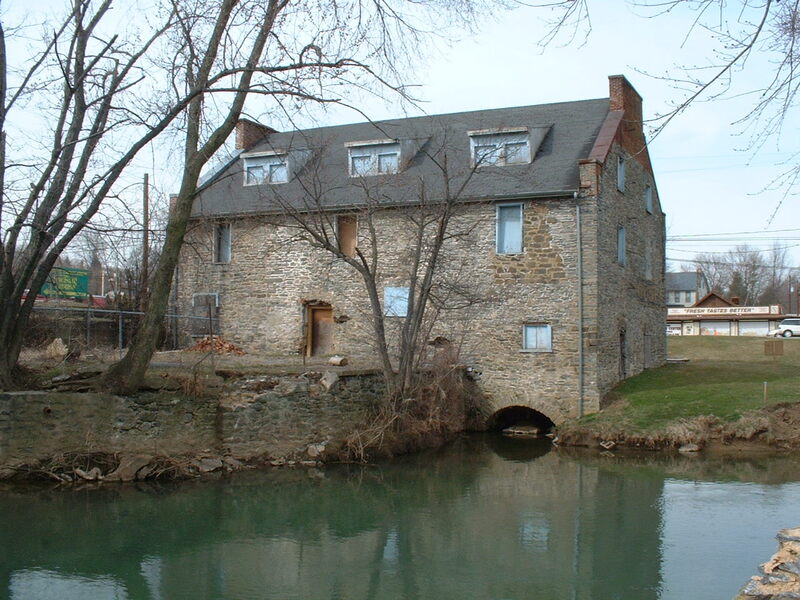 This mill is the first one in this part of Lancaster County and the first one along the Little Conestoga Creek. 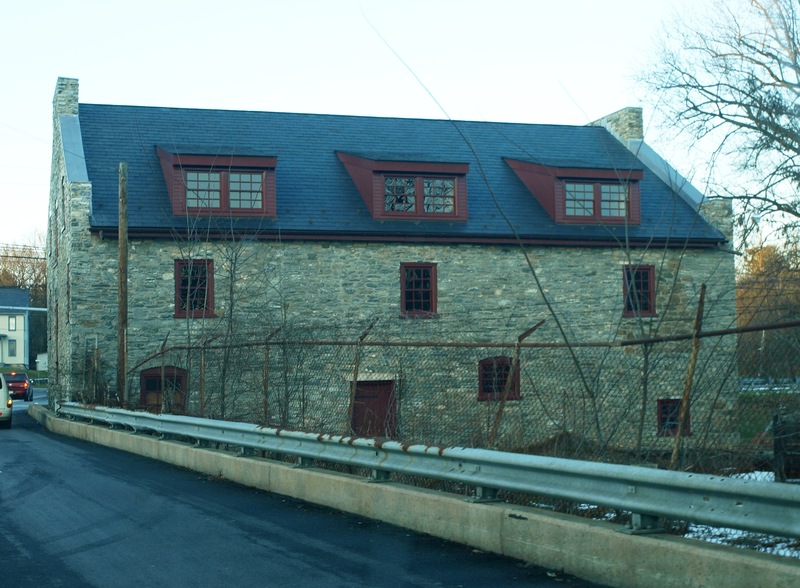 Hans and Anna sold the mill and 150 acres of land surrounding it to Christian Stoneman on May 13, 1729 for 160 British pounds – over 10 times as much has they had paid for the property twelve years earlier. 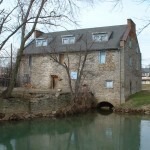 In 1767, the mill was rebuilt by Johannes and Barbara Steiner after fire destroyed the original log structure. 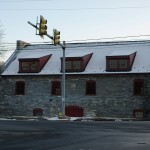 Since the 1890’s it has been known as the Maple Grove Mill. 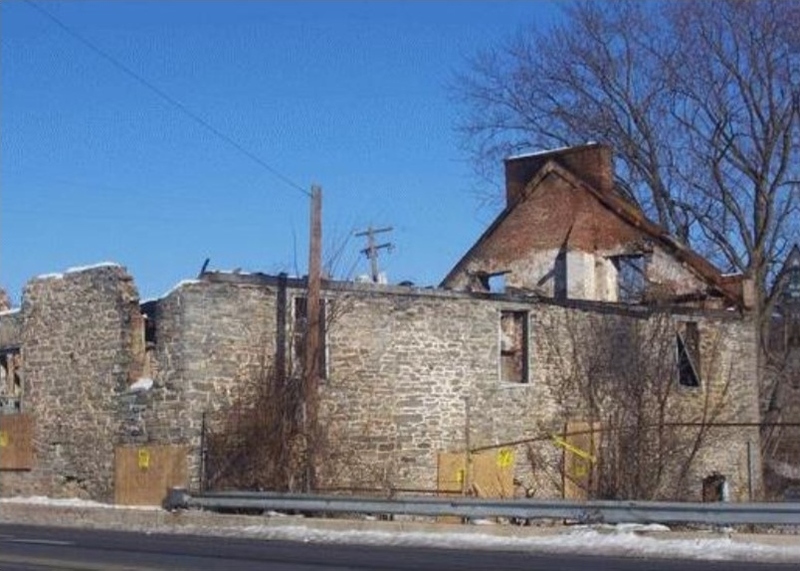 It suffered tremendous damage from a fire on Thanksgiving day in 2005. 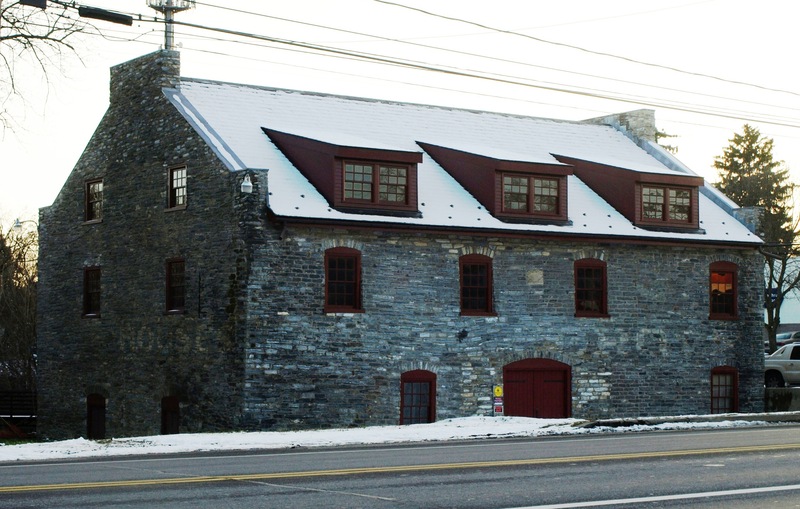 It lay barren and heavily damaged until 2008 when stone and masonry repairs began. Reconstruction of the roof was completed in 2013. 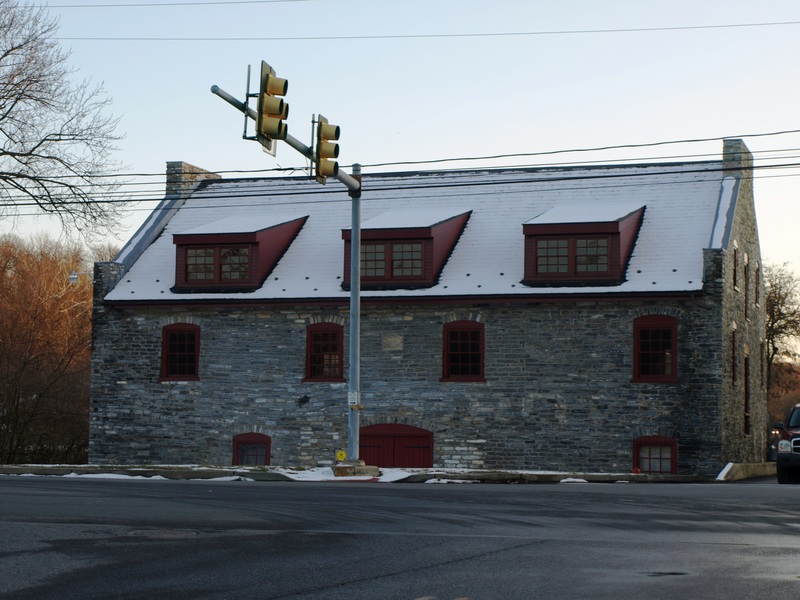 For more about the mill read here at LancasterOnline.